Jamie Arnold has more than 10 years of experience delivering projects within Quote to Cash and Product Development. His primary focus is to build and manage ATG’s QA organization that supports all projects in order to promote quality across ATG initiatives. His team embraces modern approaches to Quality Assurance focusing on where quality can be improved in upstream processes by encouraging quality practices within all roles and all levels of tasks. He enjoys looking for proactive solutions for improving quality that often times can’t be found with traditional methods. His team also looks for opportunities to accelerate time to market for projects by leveraging QA and Deployment automation when applicable. Additionally, Jamie leads QA Program initiatives and participates in strategic and advisory engagements to assist customers in identifying all the considerations needed to execute on large scale digital transformation projects. 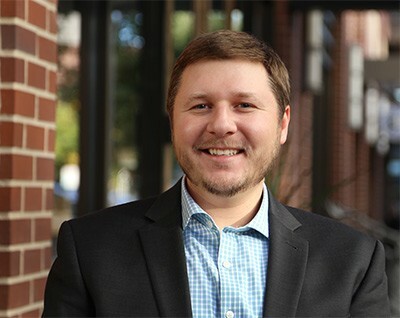 Prior to joining ATG, Jamie worked in product development in mobile technology at Hewlett Packard and Palm Inc. His focus was in delivering third party and carrier software development for upcoming mobile products where he assumed various roles as a Program/Project Manager, Business Analyst, Data Migration Specialist, QA Lead and agile subject-matter expertise. I came to ATG for the opportunity to build agile QA delivery teams aligned to ATG’s solutions, while also getting an opportunity to help grow a strong technology presence for Missoula.